Transforming the way transportation surveys are conducted. — delivering accurate travel data NOW. Dev IQ’s Smart Survey technology enables municipalities to engage the public more easily —where they are. Smart Surveys are iOS and Android mobile apps that allow citizens to participate in transportation surveys easier and quicker than ever. The data collected is extremely valuable for planning and policy decisions regarding roads, bus routes, bike paths, walkways, and more. The mobile-friendly survey is "smart" because it captures location data and other information automatically, increasing results accuracy, reducing administration cost, saving paper, and significantly enhancing the user experience and participation. People want their voices heard, but don't want to spend too much time or effort doing it —Smart Surveys provide a solution for today's busy citizens. According to National Research Center Inc. (NRC), more than half of the surveys conducted in the public sector are still done on paper, and manually collected and analyzed. The cost for paper and manual processing is increasing, and frankly is not environmentally responsible, considering the automated online tools available. Meet your citizens where they are. "Not having to enter addresses makes it so easy"
"Now that I know and have the app, I won't mind doing another survey, because it's easy"
"Being able to monitor participation levels across platform and also knowing where they are getting stuck in the process is invaluable"
"Integrates perfectly with analysis and post-processing systems (such as GIS), eliminating the need for manual correction or preparation." "We expect to reduce costs over time. Paper survey processing and analysis is expensive"
“It’s not just a survey, it’s an ongoing community connection.” Implementing mobile survey best practices supports this connection. Increased citizen involvement. Activities and information made available via a Citizen App is more accessible to a growing population of young people who are connected with their mobile devices. Proactive notifications. Citizens can receive proactive notifications about issues and activities that they are interested in. ROI on Gamification. Assuming the user experience is designed to be engaging and fun, more feedback and value can be gained because they like being involved and it’s enjoyable and informative. Survey results give information on what is working and what is not. The cost of not getting this feedback and evaluating how services affect citizens far outweighs the cost of conducting surveys. The challenge is conducting surveys in a way that engages citizens, rather than frustrating or alienating them. re-imagined for a mobile User Experience." Valuable data like specific locations, dates, or times is easily collected as users don't have to input it. The data is ordered and delivered in a way that integrates perfectly with analysis and post-processing systems (such as GIS), eliminating the need for manual correction or preparation. The City of Boulder, Colorado, Department of Transportation conducts citizen transportation surveys. These surveys are managed by National Research Center Inc. (NRC). Dev IQ used the SmartSurveys platform to design iOS and Android mobile app versions of the Travel Diary survey in 2015 and the Boulder Valley Employee survey in 2017, as the first step into transforming transportation surveys from paper to smart — not just digital. Profiling questions such as gender, age and vehicle owned. List of trips that the user logs during one day. Users complete all the information for each trip. Final questions related to the Diary day. The most important section of the survey was the Travel Diary, where users had to register their transportation behavior by logging all the trips they do in a given day. Trips are listed chronologically and show information such as time, purpose, method and distance, which can be described in detail. This information is most valuable to the City planners. Capturing it in an easy and convenient way was key to the success of the survey. We understood the needs and requirements better than anyone else. Our Design expertise was outstanding, demonstrating a great User Experience. Our Mobile expertise and understanding of how to apply it to real-world problems. 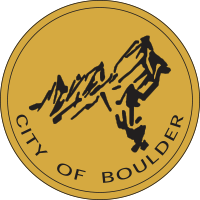 Dev IQ has become a strategic partner for the City of Boulder Transportation Planning Department. We have delivered the first of multiple planned reusable Smart Surveys, with very high appreciation. For the first time in more than 20 years, the City of Boulder Travel Diary Survey is now a Smart Survey. Dev IQ worked closely with National Research Center Inc. (NRC) to ensure the new data captured was compatible and corresponded with historical survey data. Citizens can get involved and actively contribute to their City planning in a way that fits with their lifestyle. Transforming the way transportation data is collected.